STAMPS ARE AWESOME!! Since they arrived in July 2010, I have earned 191! I met every mascot, and I got most of the game stamps. I of course am still working to earn more and more stamps, which makes it so awesome!!! :) So far, the hardest stamp I have earned was to throw a party with 30 penguins in my igloo. It took a lot of advertising, and even some bribing. LOL! It was so hard to get that stamp that it took me about 2 hours to get it done! But the fun party made it worth it!! Nachos anyone?. 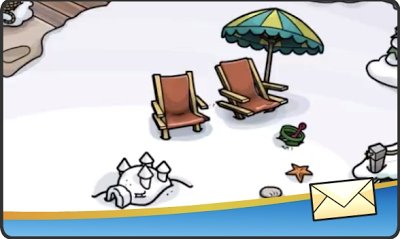 Since summer is almost here for some of us, Club Penguin wants to know what is our favorite summer activities and why? If your review is chosen by Club Penguin, they will add 10,000 coins to your account! the igloo host (30 penguins in igloo) stamp was fairly easy for me. I would wanna play computer,watch Television and rest?Play computer games,Club Penguin,of course.I am almost done with CJS and almost finishing with CJW too.